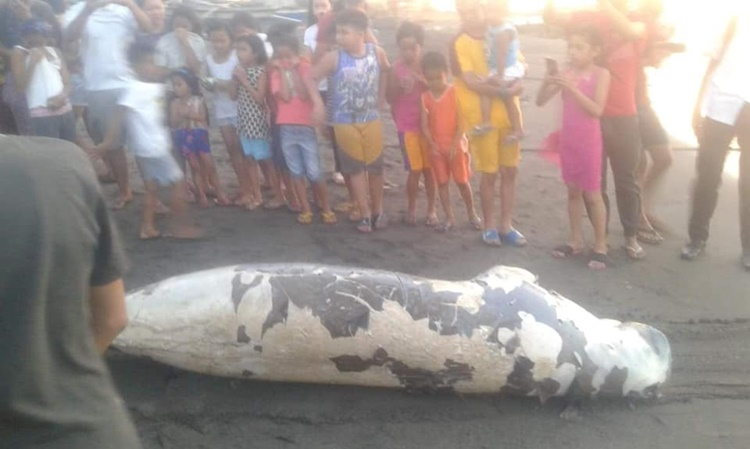 A lifeless sea cow, locally known as "dugong," was found at the coastal area of Barangay Zone 6, Pulupandan, Negros Occidental on Wednesday, February 6. The sea cow is in decomposing state which drifted at the shoreline at around 5 p.m. The sea creatures was 290 centimeters long and 60 centimeters wide. Authorities said that the sea cow hit a reef wharf which caused its intestine to detach from its body. However, the marine mammal will undergo to necropsy test to determine the real cause of death.